Even so, you'd think they could have come up with a less abrupt way of keeping people away. I guess it's better than "Keep the f**k off our fountain". 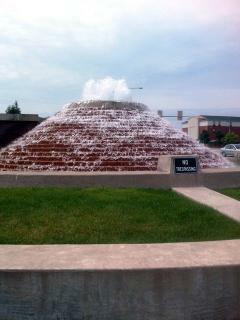 Try this one adjacent to the downtown Des Moines central branch of the library for a fun, pedestrian, usable fountain.